The XIX International Multidisciplinary Scientific GeoConference SGEM will take place at the SPA Albena Complex, near Varna city in Bulgaria, from the 28th June to the 7th July, 2019. Abstract submission and early bird registration both close on the 15th April. The Third Annual Digital Data in Biodiversity Research Conference is due to be held from the 10th to the 12th June 2019 at Yale University, New Haven, CT. This conference is a collaboration between Yale Peabody Museum, iDigBio, the Natural Sciences Collections Alliance, and the Ecological Society of America. Abstract registration closes on the 30th April. The Natural Sciences Collections Association (NatsCA) conference is now just around the corner, taking place at the National Museum of Ireland, in Dublin between the 1st and 3rd May. There are multiple sessions on the over-arching theme of Dead Interesting: Secrets of Collections Success. It’s not too late to register, so head over to Eventbrite. You’re running out of time to register for the exciting Trading Nature conference; a joint venture between the Society for the History of Natural History yours truly, the Geological Curators’ Group. It will take place at The King’s Manor, University of York, from the 4th to the 5th June 2019. Registration closes on the 15th May. There is going to be an entire session on geology and palaeontology just for you, so don’t miss out. The 8th Symposium about Dinosaur Palaeontology and their Environment is taking place later this year, between the 5th and the 7th September, in Burgos, Spain. Not only is this their 20th Anniversary, but it is not an annual conference so if you miss the 2019 one you’re in for a wait. The deadline for abstracts and early bird registration is 5th July. The annual Society for the Preservation of Natural History Collections (SPNHC) conference is due to take place at the Field Museum in Chicago, from the 25th to the 31st May. The theme will be Making the Case for Natural History. Regular registration closes on the 22nd April, after which it will cost you more to join in in May. The Dickinson Museum Centre in North Dakota, is hosting a two day symposium with multiple field trip options either side, focusing on Cretaceous and Paleogene Vertebrate Paleontology of the Western Interior. The deadline for abstracts is 2nd May. !TOMORROW! The Royal Veterinary College in London is hosting a spectacular sounding event called Night at the Vet College: DawnDinos, for National Biomechanics Day. DawnDinos is a five year project ‘Testing the locomotor superiority hypothesis for early dinosaurs’. Taking place tomorrow, the 10th April from 5.30pm to 10pm, the event is free but you need to book a place via EventBrite. 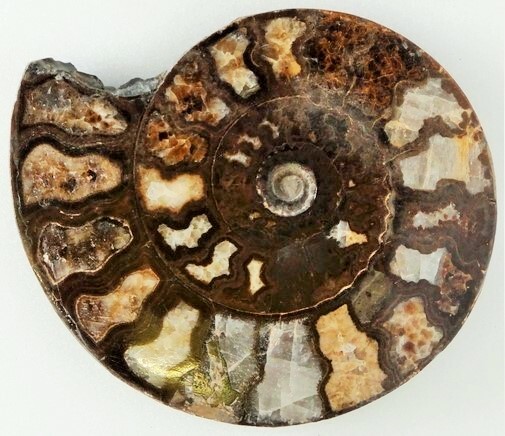 The Lyme Regis Fossil Festival is set for 3rd to the 5th May. There will be exhibitions, performances, stalls, talks, and walks, and is an absolutely wonderful weekend. Plus if you haven’t been to Lyme Regis before, there is a Dinosaurland Fossil Museum, and the Lyme Regis Museum which also houses geoscience collections. On the ‘last chance to see’ list is the fantastic ankylosaur exhibition at the Royal Ontario Museum in Toronto called Zuul: Life of an Armoured Dinosaur. The exhibition is well worth a visit, I can tell you for sure as I’ve been! You have until the 20th May to see for yourself. A new exhibition called British Dinosaurs: From Fossils to Feathers just opened last week at Tring Natural History Museum. ‘Explore the surprising diversity of British dinosaur species and find out about the dinosaurs that still live among us in our gardens and parks’. Open until the 11th October. The Lapworth Museum of Geology, at the University of Birmingham, is advertising for a Learning and Community Development Officer. Deadline is the 14th April 2019. The University Museum of Zoology, Cambridge is looking for a Museum Volunteer Coordinator (Part Time). Deadline is the 15th April 2019. The Natural History Museum London is advertising for a Science Educator (deadline 22nd April 2019), as well as a Curator of Benthic Molluscs (deadline 21st May). The British Antarctic Survey requires a Geological Collections Assistant. Deadline 28th April 2019.